Writing a condolence letter is a tough one. Often, we want to express sympathy but don’t know what to say. We wonder if a letter would be welcome or if it would be seen as inappropriate. Perhaps the bereaved person is a work colleague, and you feel that to offer sympathy would be too personal. Perhaps you know only one of the people involved and feel awkward about ‘intruding’. 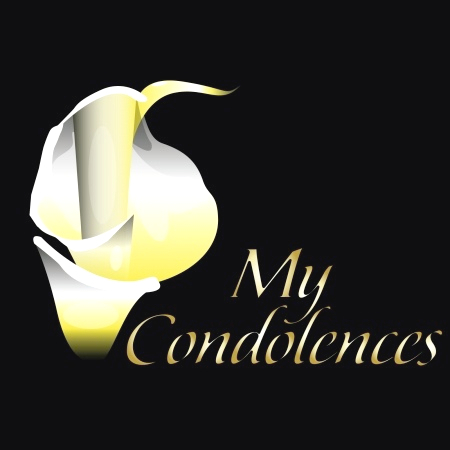 As a general rule, it is sensitive and graceful to express sympathy with a bereaved person’s loss, and, where appropriate, to pay tribute to the aspects of someone’s life which may be publicly acknowledged and honoured. Letters of condolence mean a lot to people who have suffered bereavement. They provide tangible recognition of the significance of someone’s life. Although you are offering sympathy, it is best to keep the letter fairly formal. This does not mean it should be impersonal, far from it, but condolence letters are kept and shared and passed around and sometimes displayed. They may be kept for future generations. They are more than a one-to-one communication, they are part of the ritual of grief and mourning which touches each one of us. If you knew the person who has died, add a few lines which say what they meant to you, or which offer a memory. Make sure that what you write is genuine and positive. Even if lots of negative aspects of the deceased’s personality come to mind, ignore them and focus on the good things. You could intend to be amusing about someone’s well-known foibles and weaknesses, but your good intentions may not come across in the written word. That kind of reminiscing is best done in person, perhaps some time after the event. If appropriate, you could offer help, ‘Please let me know if there is anything I can do to help.’ You might be able to offer to do something specific in the immediate future. Be careful not to say how you know someone feels, or to refer to your own experiences. Don’t get carried away with overblown words. The death of someone aged ninety-nine is a loss but not a tragedy. Choose a signing-off phrase such as Yours sincerely, With sympathy, With deepest sympathy, Sympathy from us both/us all, Heartfelt condolences. Emotional labour or a labour of love?